Download all report files from a Reporting Services Database in a single step. The source is always a reporting services database. This could be the current version, or just a backup. There's no need to setup a full reporting services web environment to access the reports. 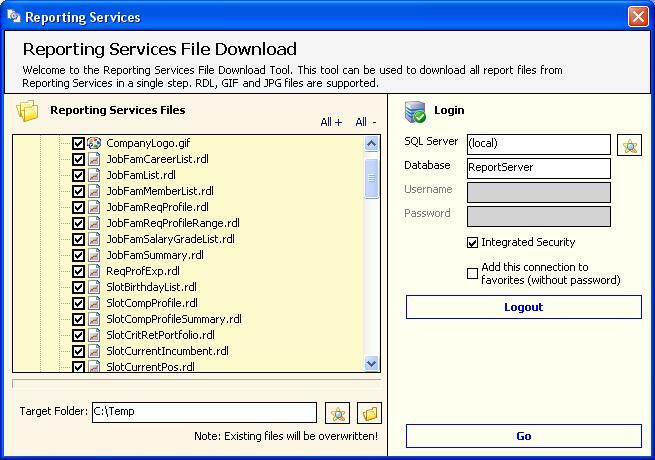 Trying to use the reporting services web environment to backup your files will result in endless clicks.